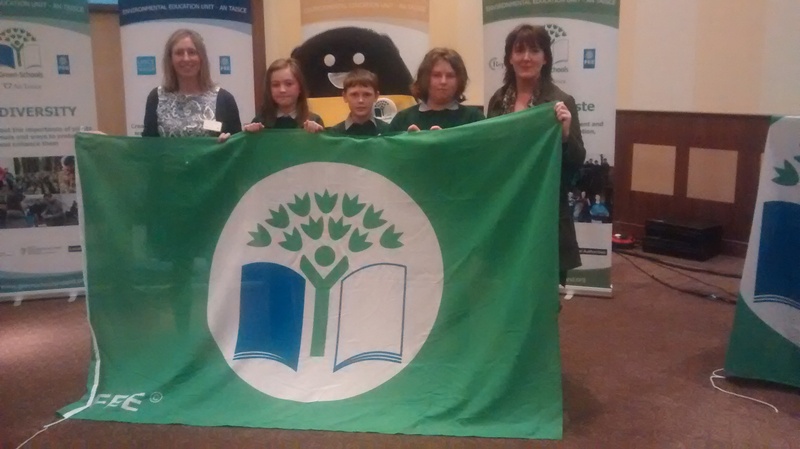 On the 21st of May a very excited group representing the Green Schools Committee collected our second green flag at an award ceremony at the Radisson Hotel in Galway. This flag was awarded for our work on the theme of energy. We have worked on this theme for the last two years. It was a whole school effort with every child serving on either a junior or a senior committee. We all take huge pride in our achievement! Congratulations to Jarlath Lee from sixth class! His piece of writing ( “It’s a Showjumping Life”) has been included in ” Future Tense” This is a collection of writings from students attending primary and secondary schools in Co. Galway. He joins Cormac Egan whose work was published last year in “Future Tense 1”. We are delighted to announce that Clydagh National School has achieved another Discover Primary Science and Maths Plaque of STEM. (Science, Technology, Engineering and Maths) Excellence for the 2014/2015 Academic year. We had a lot of fun working towards this award and all the hard work paid off!